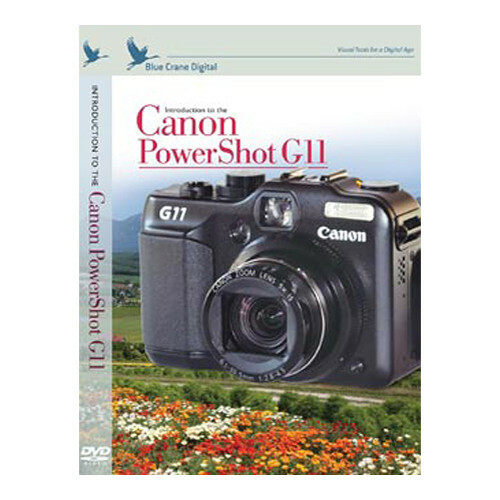 Introduction to the Canon Powershot G11 - Within the 90 minutes this DVD runs, you'll come away with a thorough knowledge of how to use this fantastic camera. Learn at your own pace. Move from chapter to chapter - or skip around and learn what you want - at your own pace. It's a full featured and easy-to-understand DVD that will get you up and creating the images you've always wanted to create. Box Dimensions (LxWxH) 8.0 x 5.5 x 1.0"
Training DVD: Introduction to the Canon Powershot G11 is rated 4.0 out of 5 by 1.